A 1-year-old tabby cat lost his front left leg in Southbridge, Mass., after it was crushed in an unregistered animal trap. The damaged limb was amputated after the feline was rushed to an animal medical center near Boston. The cat was discovered by a hiker. The cat, named “Mr. Bates” after a character on the PBS series Downtown Abbey by attending veterinarians, is expected to make a full recovery. A $1000 reward was offered by the Massachusetts Society for the Prevention of Cruelty to Animals to anyone who can provide information that leads to a conviction for animal cruelty. 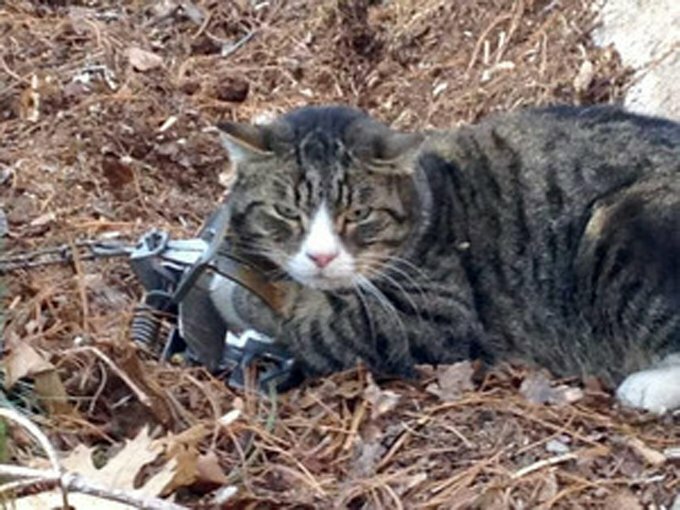 The MSPCA believes the trap was set illegally. The cat’s owner is unknown. Mr. Bates has since found a home.